1.1 Are there any problems when using the international auction? Most advanced Internet users if not used, you probably know, what is eBay. eBay – online auction, one of the most popular around the world. Founded back in 1995 year. Now the platform has more than 150 person, who are its active users. If you want to use the auction to sell or buy things, you must create an account on eBay. 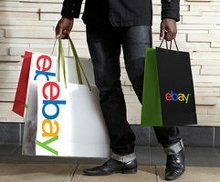 eBay allows each registered user, not leaving the house to make purchases and sales network. The advantages of this shopping has long been appreciated not only by the people of Europe and the US, but also Russian citizens. Every second on eBay bought and sold goods worth over, than 2 000 dollars. On the site are exhibited photographs for the convenience of customers, Price and description. Such auctions in reality on eBay buyer can bargain for the selected item, Suggest your price. Are there any problems when using the international auction? 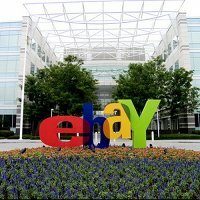 In order to start buying or selling on eBay will have to register on this site. it, perhaps, most decisive step, who are afraid to make our compatriots. Some plead ignorance of foreign languages, others believe, that buy goods need only intermediaries. A great temptation to enter the international market of goods and sellers, But there is a doubt with the withdrawal of funds received from abroad. so here, you can confidently say, that most of the problems - contrived! First of all, to register on eBay, enough and school knowledge of a foreign language. Besides, if necessary, you can always use the services of online translator. With regard to the complexity of the independent shopping without intermediary, it should be noted, that the mediators themselves are often exaggerated deliberately. but we, also we know, that if you want to, the impossible is possible! The procedure of registering on eBay is very simple and free. On the main page of the eBay website, click on Register. Open registration form, should be completed in Latin letters. For registration need data about your name, surname, personal e-mail address, in addition you will need to come up with a login, and password to log on to the website. After that, as a form to be filled, Click Submit (the confirmation). After a few minutes to your specified email address will receive confirmation of registration. Basic registration will allow you to browse the goods and see the provided auction services. And in order to take part in the auction on eBay you need to undergo a full registration. To complete registration on the «My eBay» page, go to the tab «Account» (account) and choose «Addresses» item (Address), fill in the form below. In the shape of, you must specify a name, surname, residence address, postcode, address for delivery of the goods, the international phone code). 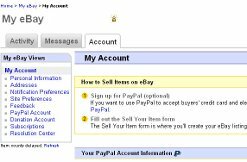 To make purchases on eBay will need an account in the PayPal payment system with an associated payment card. As seen, account is not difficult to eBay and do it, you get the opportunity to purchase their favorite items anywhere in the world. And as this is a unique opportunity for you to offer your products to customers all over the world.